We are a network of Jews in Britain who share a commitment to certain principles, especially with the Israeli-Palestinian conflict in mind: putting human rights first, rejecting all forms of racism, and giving equal priority to Palestinians and Israelis in their quest for a peaceful and secure future. We believe that these principles, rather than group loyalty, should determine the parameters of legitimate debate. Coming from a wide range of backgrounds, and with a wide range of views, we all share the belief that the interests of an occupying power should not count for more than the human rights of an occupied people. See our declaration to read our founding principles in full. We urge those who share these principles to join us and sign our declaration. 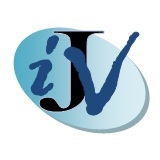 IJV is a network of individuals who wish to have a platform for critical debate on major political questions, and the situation in the Middle East in particular. The initiative was born out of a frustration with the widespread misconception that the Jews of this country speak with one voice – and that this voice supports the Israeli government’s policies. In the year that saw the 40th anniversary of the occupation of the West Bank and Gaza Strip, our project was to create a climate and a space in which Jews of different affiliations and persuasions can express their opinions about the actions of the Israeli government without being accused of disloyalty or being dismissed as self-hating. The need for such debate becomes even more urgent as the situation in the Middle East continues to deteriorate. IJV is today one of a growing number of networks across the world reflecting the views of Jews with a strong commitment to peace and human rights who feel that an independent stand is vital in the pursuit of peace in the Middle East. Apart from the UK, other countries that have given birth to such groups in recent years are Australia, Austria, Belgium, Brazil, Canada, Denmark, France, Germany, Greece, Netherlands, New Zealand, South Africa, Sweden, Switzerland, USA. In addition, there is an impressive number of both Israeli and Palestinian NGOs active in the areas of peace, human rights and co-existence.